Carrots have always been associated with great health, and our parents encouraged us to load up on this veggie for a reason! This humble and ubiquitous vegetable has many benefits beyond improving eyesight. Check out all these health benefits from carrot juice! Red/orange foods contain a pigment called beta carotene which converts to Vitamin A when consumed. This helps support good vision. The carotenoids present in carrots also act as antioxidants, thereby fighting free radicals in your body, slowing down the process of ageing. 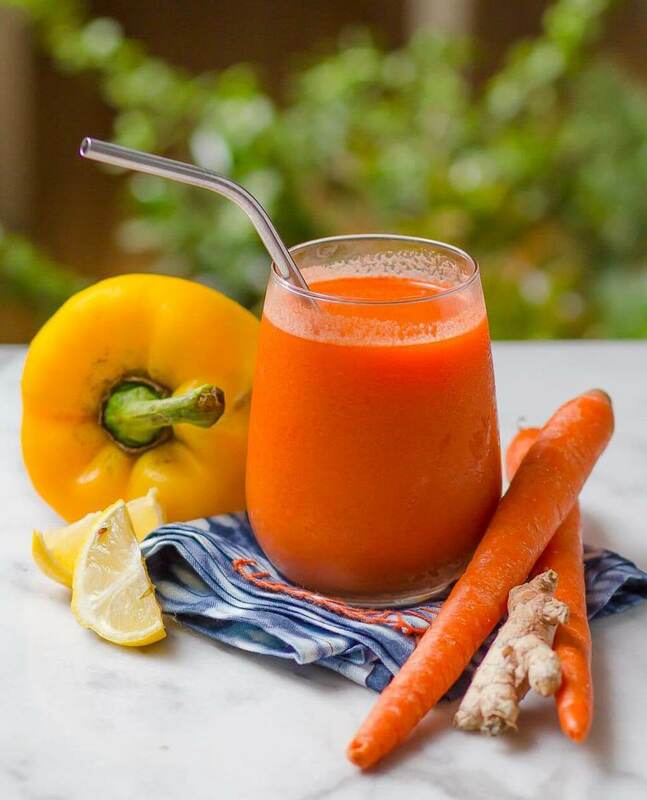 Carrot juice contains all the essential nutrients present in carrots in concentrated form! 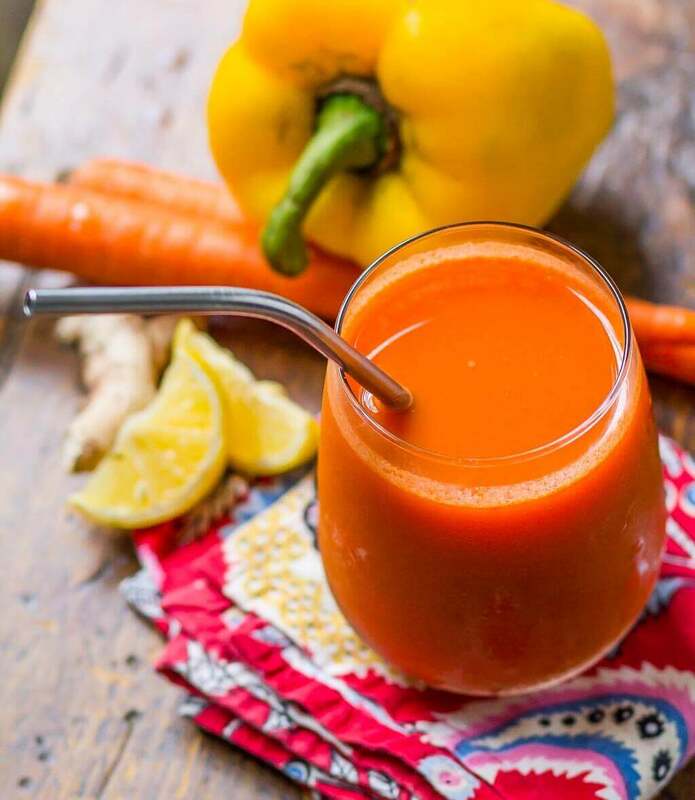 Carrot juice works wonders maintaining cholesterol and blood sugar levels, thanks to its potassium content. This juice combo also contains healthy celery and bell pepper, with a little but of Zing from ginger and lemon! Juice all the ingredients in a juicer and consume immediately.